A small country in East Africa with no access to seas or oceans but filled with spectacular hills that produce coffee and are home to their famed Gorillas. In the early 1990s Rwanda experienced the peak of long years of ethnic strife. Since then, there has been a strong focus on reconstruction and reconciliation. Rwanda still has a strong connection to its roots with a strong reverence for the old way of life that is kept alive through basketry, ceramics and craftwork. Rwanda has plenty to offer from beautifully brewed coffee to start your day to unforgettable wildlife experiences. Come up close to Chimpanzees and Gorillas in an experience that is like no other wildlife experience. 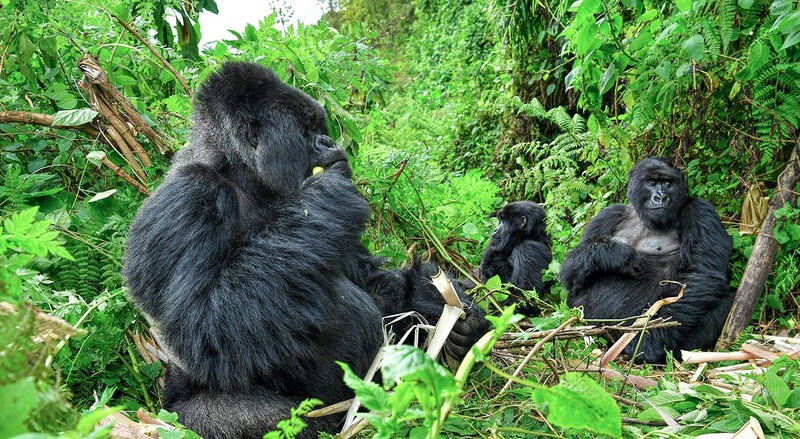 Considered one of the world’s best efforts at conservation - Rwanda silverback Gorillas are back in numbers. No wildlife experience quite compares to standing toe-toe with one of the world’s most impressive mammal, let alone the entire Gorilla family.